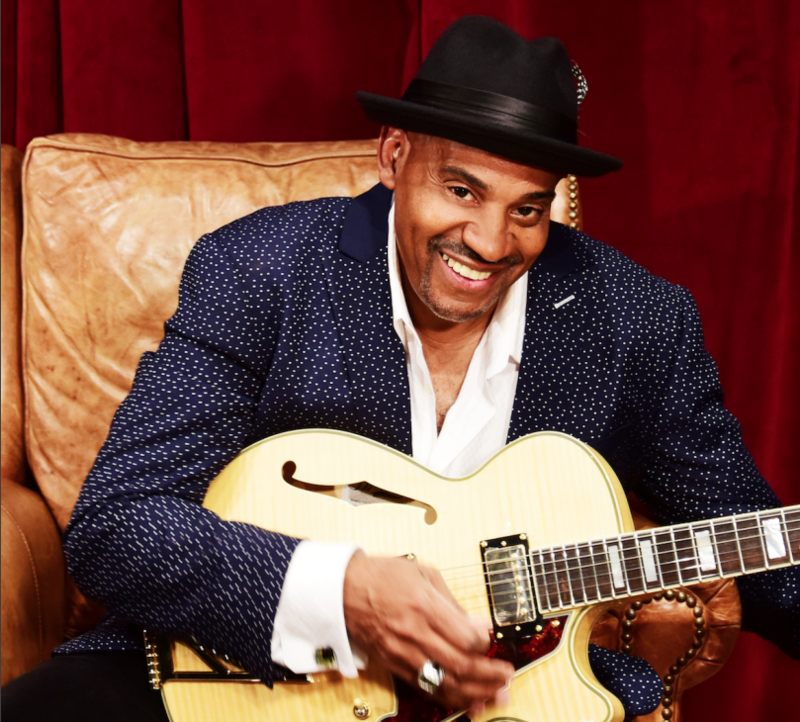 Eubanks and Payton play with bassist Ben Williams and drummer Terri Lyne Carrington at Birdland through Saturday. 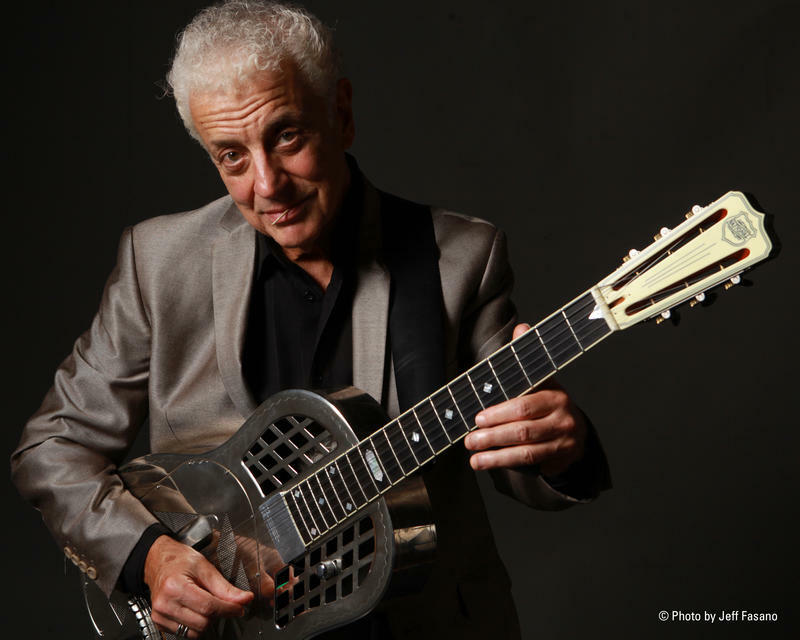 Doug MacLeod is a definitive troubadour. He travels. He sings. He tells the stories of the songs. And he's a terrific guitar player. Albert King, Albert Collins, Joe Louis Walker, Son Seals, and Coco Montoya all have recorded MacLeod's songs, and his own newest album of songs and stories is Break The Chain. He's playing at Queen's Brewery (Thursday 8/23) in Ridgewood, NY, and at The Town Crier (Friday 8/24) in Beacon, NY. Back in the day, when record labels put musicians together in a studio simply because they were on the same roster, the results were often mixed: intention didn’t live up to invention. That isn’t the case with New Faces, a Posi-Tone Records assemblage who, with crystal clarity, have shown on their new recording, Straight Forward, that listening to one another can have a powerful effect on musical outcome. While he has many fascinating stories to tell, pianist and composer Alfredo Rodríguez is all about the music. 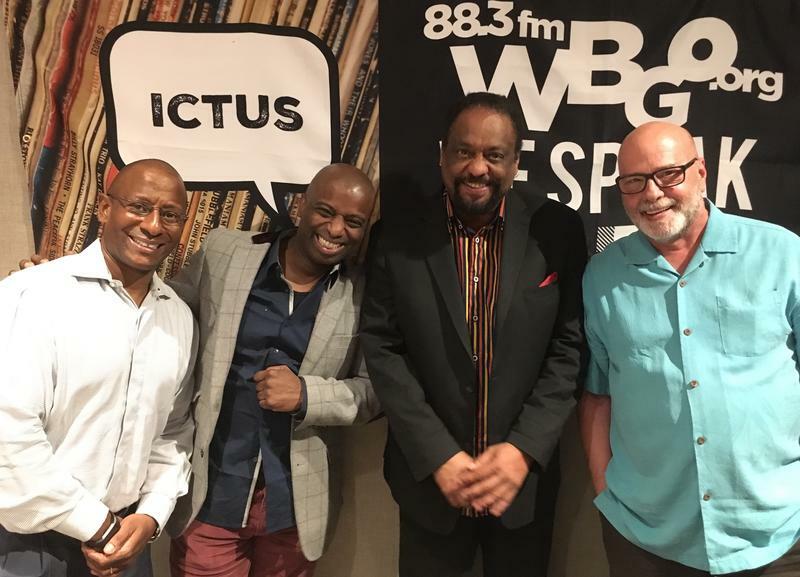 During his recent visit to our performance studio at WBGO, Rodríguez touched on stories of his life in Cuba and his migration to the United States. There's also his life-changing 2006 Montreux Jazz Festival encounter with Quincy Jones, which has led to “Q” producing two of his recordings for Mack Avenue, including his latest, The Little Dream. 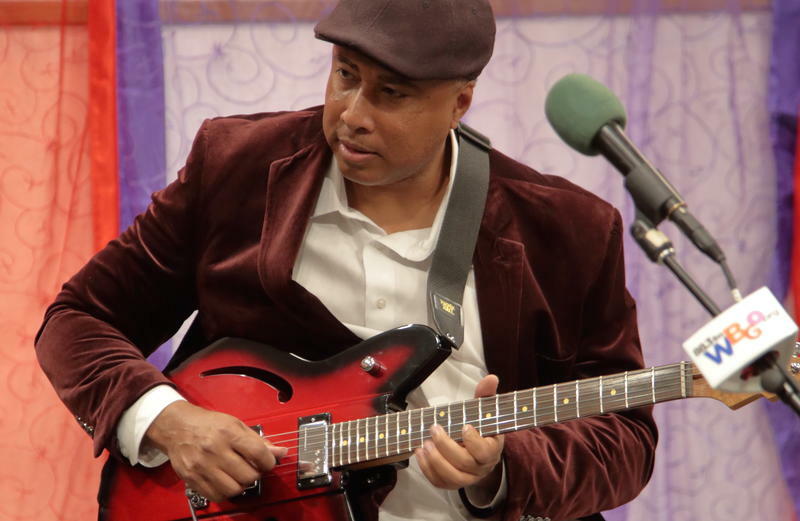 I’ve known Bernie Williams since his early playing days with the New York Yankees. He was just another young man trying to make his way in the demanding world of Major League Baseball. What was different about Bernie the ballplayer was the acoustic guitar that he kept in his locker. Media might hear him play it on the odd occasion they arrived at the ballpark really early on a game night. Danielle Nicole is one of the brightest rising stars of the blues. 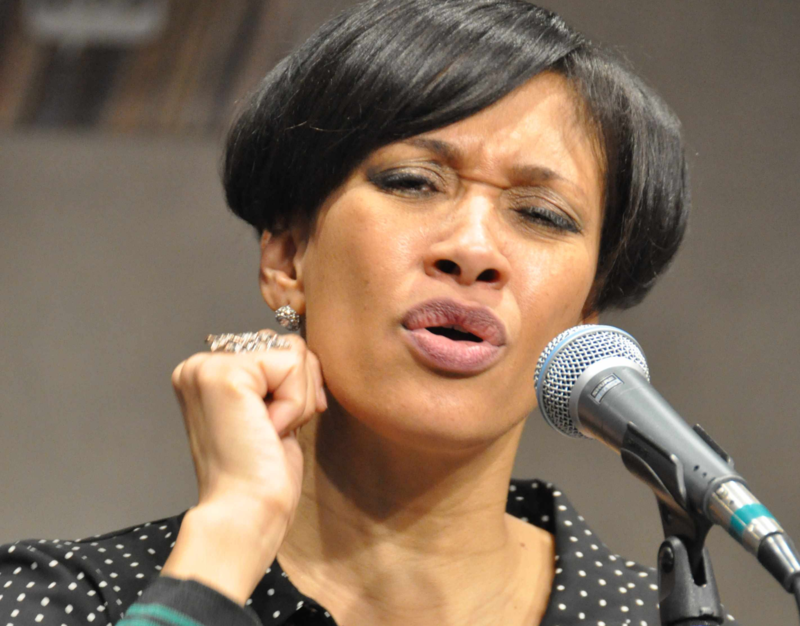 She sings with soulful chops. She writes songs ath are smart and emotional about love and life. 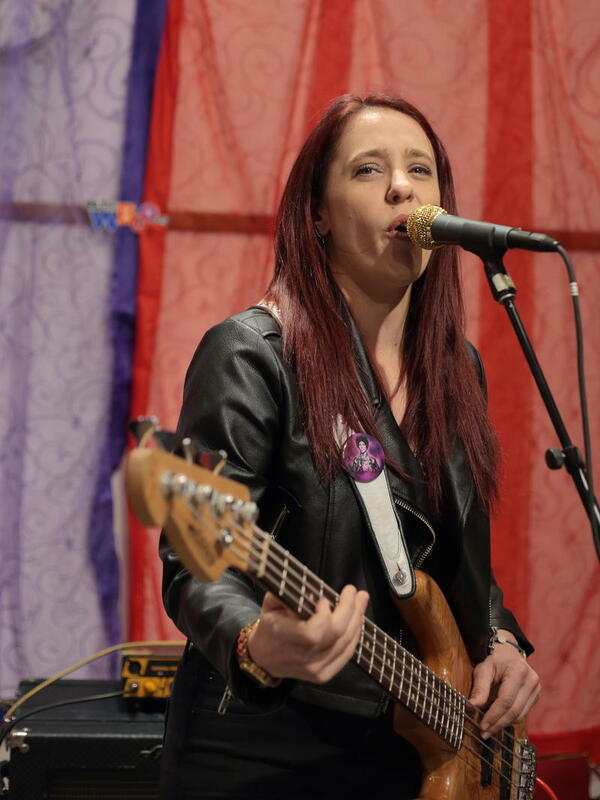 She plays bass in her trio with guitarist Brandon Miller and her brother, drummer Chris Schnebelen. “Hot Spell,” one of the songs on her newest album, Cry No More, is a first recording of a song by legendary songwriter Bill Withers. 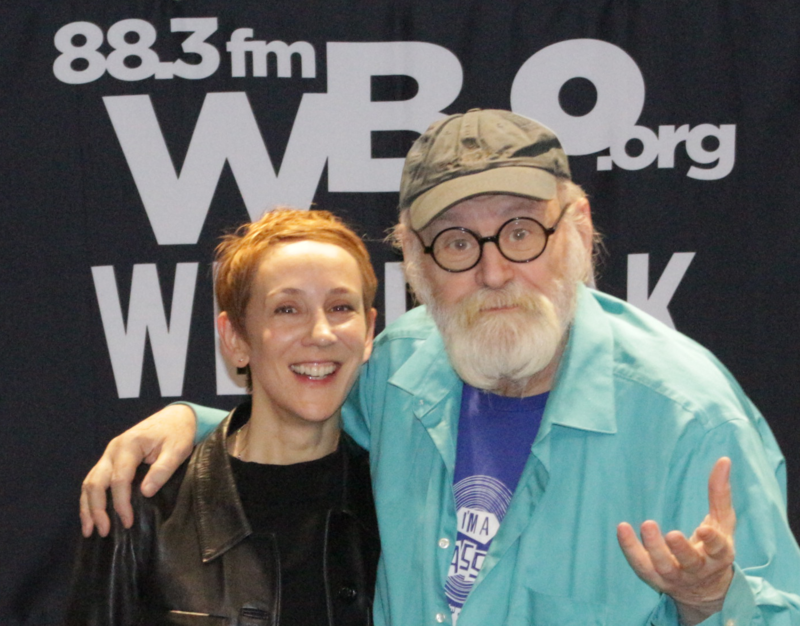 She sang (and told the story of) that song and played several of her own songs when she came to The Blues Break on WBGO. Iron City is the group of guitarist Charlie Apicella. They play soul jazz (and more) in the spirit of groovemaster and Hammond B-3 organist Jack McDuff. One Night Only ls the group’s newest album, a tribute to McDuff that includes Brother Jack’s “Dink’s Blues” — one of the tunes they played on The Blues Break. Radam Schwartz, a longtime friend of WBGO, played the station’s own Hammond organ, joined by saxophonist George Ghee and drummer Alan Korzin. 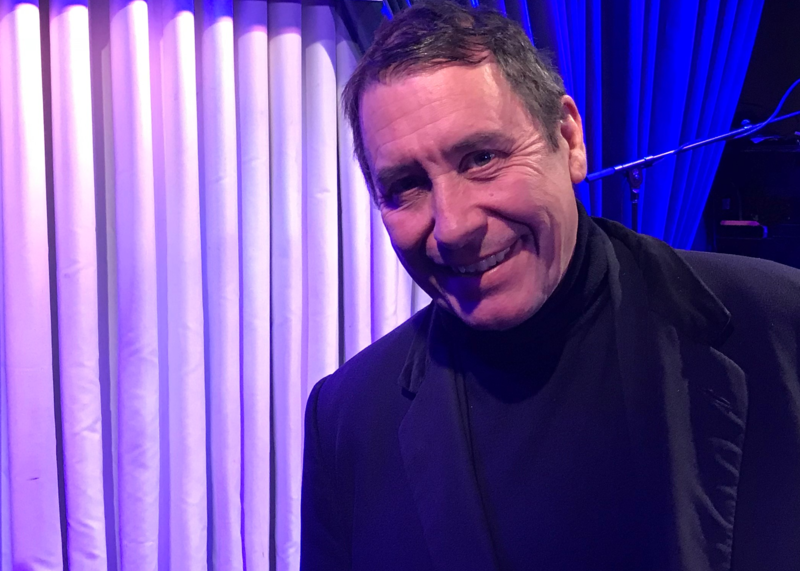 Suffice it to say that Jools Holland has a full dance card. He's the presenter of a radio show on BBC 2 and the driving force behind Later…with Jools Holland, the celebrated and inventive BBC TV program he created in 1992. But more than anything, Holland is a crafty and fun-loving musician who drops everything for the opportunity to sit behind a piano. So he recently put the busy schedule on hold and flew into New York to celebrate his 60th birthday (January 25) and perform in the Big Apple for the first time in more than a decade. 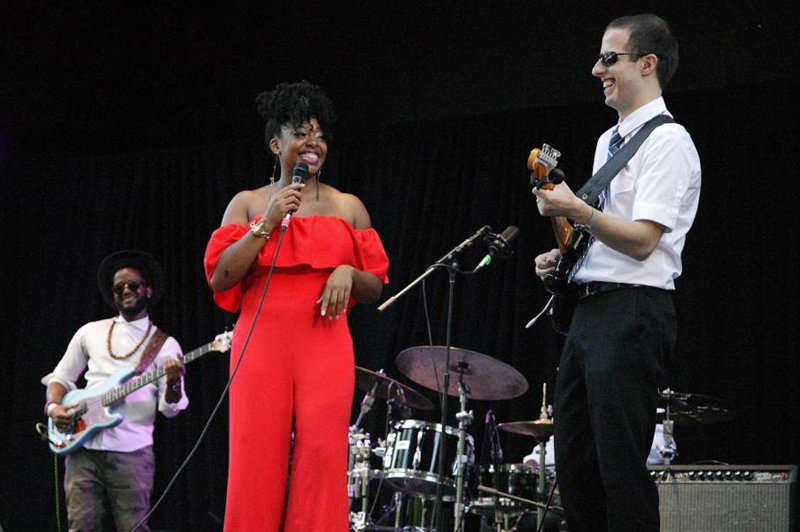 The Baylor Project — a flagship of the vocalist Jean Baylor and the drummer Marcus Baylor, partners in music as in marriage — will be in the running for two Grammy awards this month. Tellingly, the nominations are in different genre categories: Best Jazz Vocal Album and Best Traditional R&B Performance. 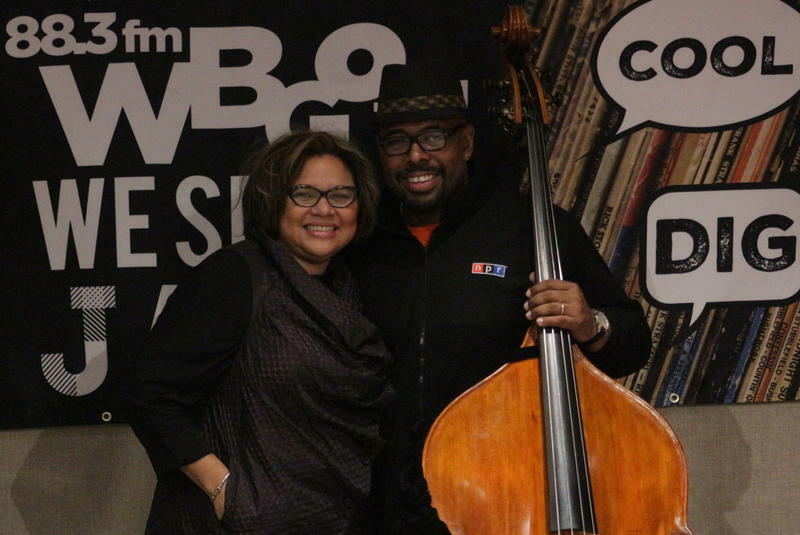 Before she honored the life and music of her “friend and sister” Geri Allen with a Winter Jazzfest concert at the New School, drummer Terri Lyne Carrington gave us a live preview last Friday on WBGO’s Afternoon Jazz. Terri Lyne Carrington Live Session with Lizz Wright, Helen Sung and Kenny Davis. Recorded 1/12/18. 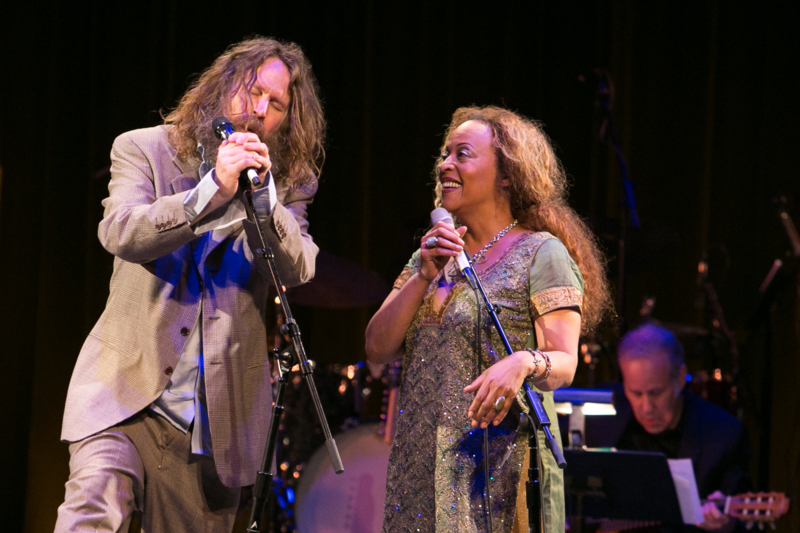 Carrington — leading a group with vocalist Lizz Wright, pianist Helen Sung and bassist Kenny Davis — filled our performance space with the spirit and music of Allen, who passed away last June, two weeks after her 60th birthday. The polyglot queen of "New Flamenco" doesn't have to work to captivate a room. 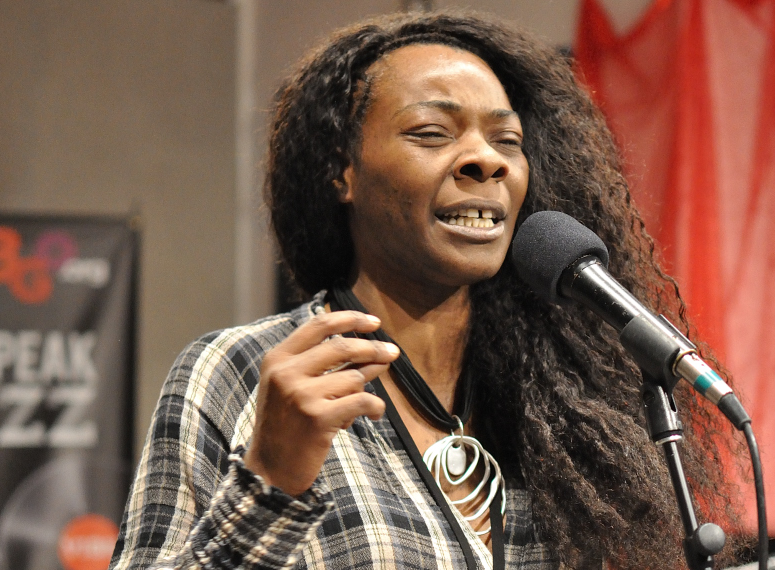 Buika's voice, a deep entanglement of late-morning sunlight and curling smoke, takes care of all that — as she effortlessly reminded us during a recent visit with her band, in advance of a Winter Jazzfest concert on Friday at the Town Hall. Stacey Kent is always a delight, and one of the most worldly singers I know. She recently came to Newark to talk with me about her new orchestral album, I Know I Dream, and to sing some of the songs with her group. Shirazette Tinnin is a versatile musician whose next album, Sonic Wallpaper, will highlight her individuality and spotlight her composing, including songs with her own lyrics. 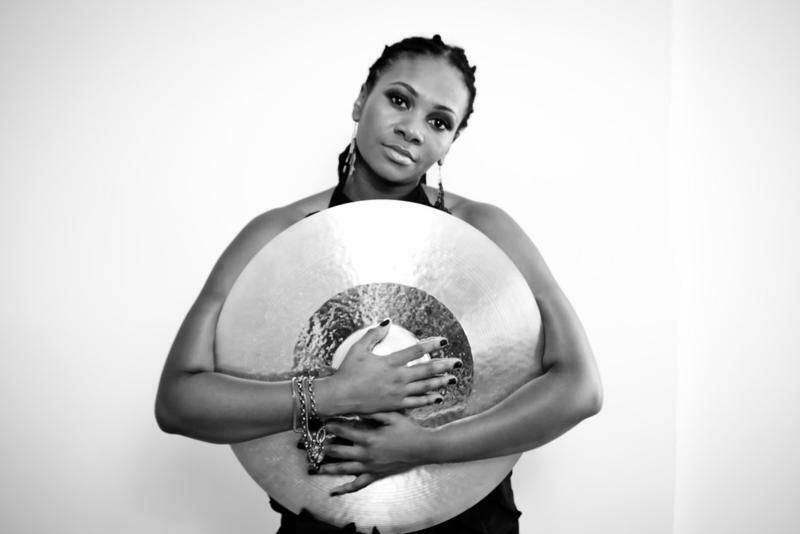 She’s a jazz-trained drummer whose influences range from Art Blakey to Sheila E. It was after seeing Sheila E. on TV, at age 4, that Shirazette decided that she wanted to play drums. Allan Harris is a classic crooner with considerable range. His new album, Nobody’s Gonna Love You Better, offers an extraordinary mix of songs from across the spectrum, from standards (“I Remember You,” “Moody’s Mood for Love”) to rock songs by Jimi Hendrix and Steely Dan to his own soulful originals. He's also created a musical, Cross That River — the story of an ex-slave who became one of the black cowboys in the Wild West. Many of the cattle drovers after the Civil War were black, but we’ve rarely ever seen them in movies. 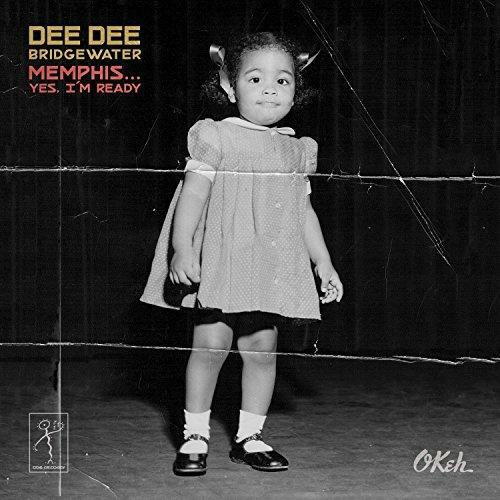 It’s been a busy year for vocalist Dee Dee Bridgewater. 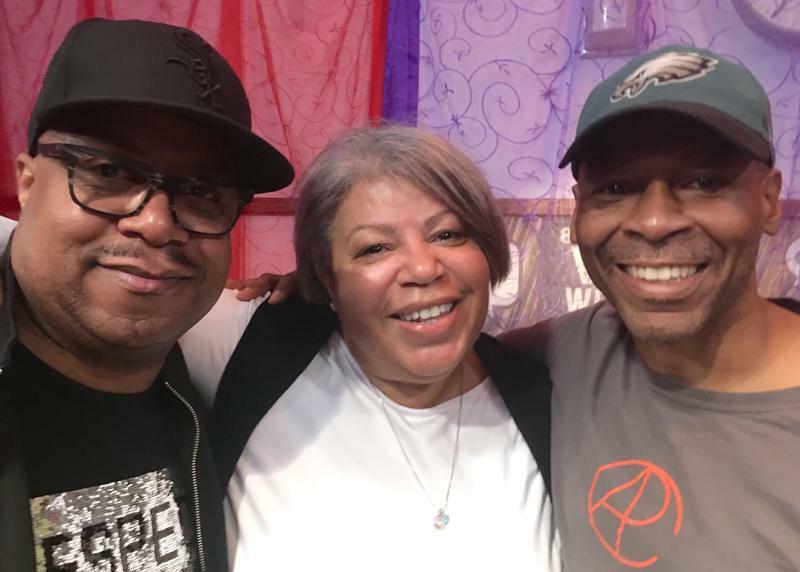 WBGO’s Ang Santos caught up with the jazz icon in New York City, as she tours in support of a new album. 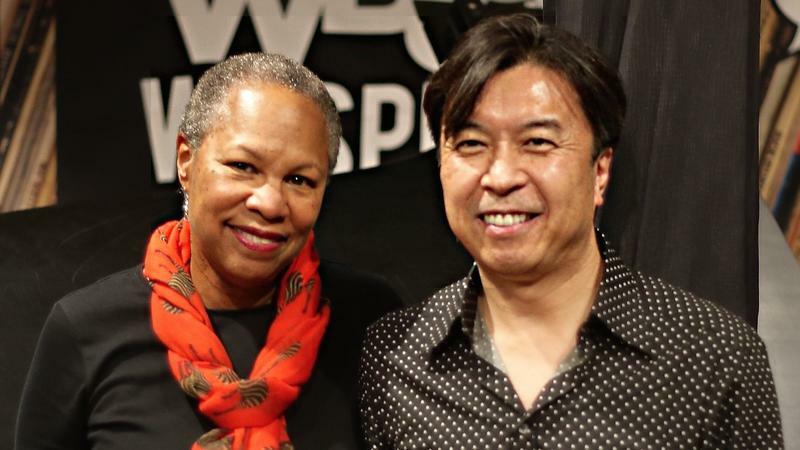 Ang Santos: Joining us on the WBGO Journal is Dee Dee Bridgewater, at the Blue Note in New York City. No stranger to our airwaves, Thanks for being with us. AS: You’re touring for your new album, 'Memphis, Yes I’m Ready'. To my understanding the album was a project that spanned over several years? 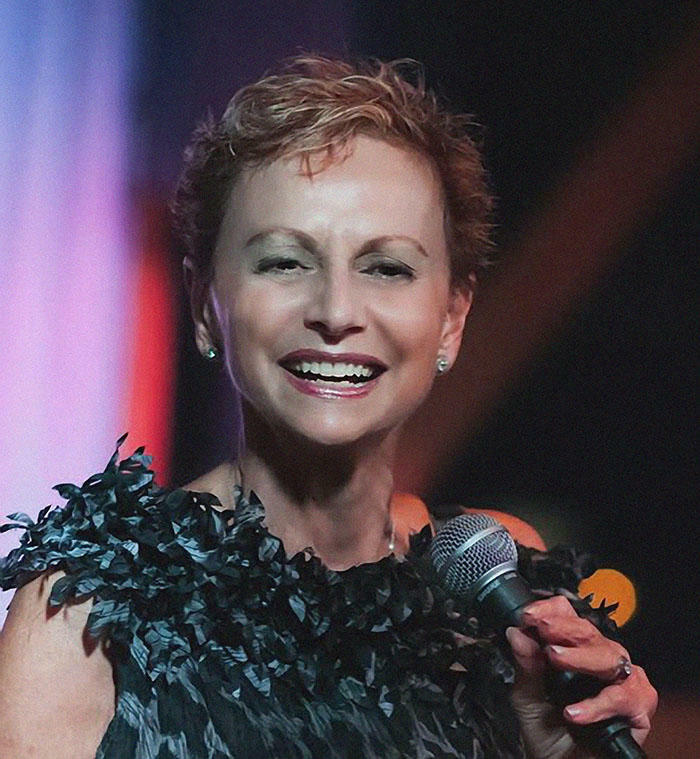 Marlene VerPlanck was a “girl singer” with the big bands of Charlie Spivak, Tex Benecke and the Dorsey Brothers, but she became a more familiar voice in everyone’s life when she became one of the most active jingles singers in the business. “MMM, good. MMM, good. That’s why Campbell’s soups…” That was the ubiquitous Marlene, singing about airplanes and selling musically everything else. It’s astonishing that bassist Christian McBride is only 45. He’s been playing with everyone for decades. Roy Hargrove and the Jazz Futures early on. Diana Krall. Sonny Rollins. And plenty of other jazz masters, including his mentor Ray Brown. 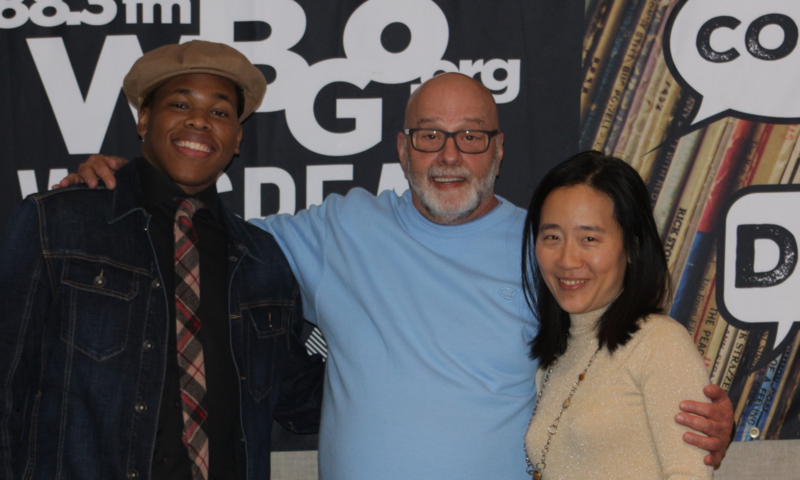 A pair of great pianists, Helen Sung and Isaiah Thompson, recently stopped by Morning Jazz to play and chat about what moves them to move us. Sung was in the first class of the Thelonious Monk Institute of Jazz Performance, studying with Ron Carter, Jimmy Heath and Clark Terry — with all of whom she would one day play professionally. She has just returned from China, performing Monk’s music to packed houses in Beijing and Shanghai. After Monday’s performance with the Mingus Big Band at Jazz Standard, she and the band will travel with Mingus’ music to Tokyo for a week. Pianist and vocalist Eliane Elias is known around the world for combining her love of jazz with the music of her native Brazil. 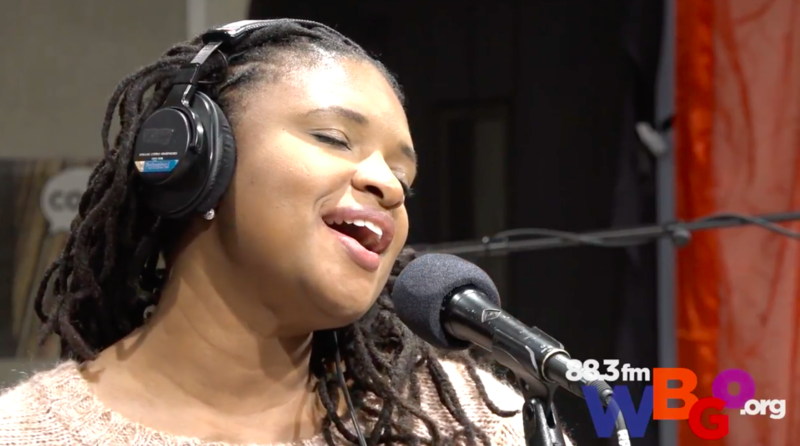 She recently visited our studio with her husband, bassist Marc Johnson, to talk about her engagement this weekend at Jazz at Lincoln Center, and reminisce about her journey in music. Makoto Ozone’s wizardry on the piano has made him a star not only in his native Japan but around the world. He taught himself to play the organ when he was just a toddler and then as a preteen, switched to the piano after hearing Oscar Peterson in concert. 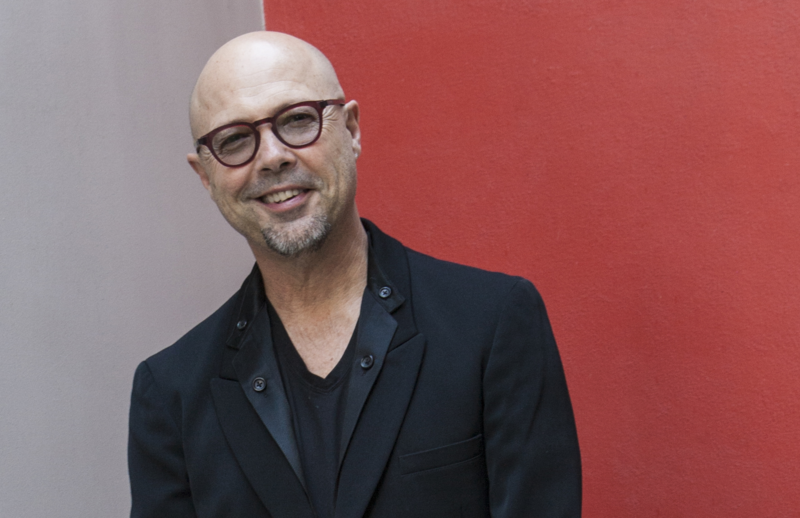 Ozone has spent his life mastering jazz and classical music, and he’ll demonstrate his proficiency in both with a performance Tuesday night at Dizzy’s Club Coca-Cola, followed by concerts Thursday through Saturday at Lincoln Center’s David Geffen Hall with the New York Philharmonic. Hilary Gardner is becoming best known as a member of the trio Duchess, but she's been singing around the New York scene ever since she came from Alaska in 2003. Her first album, The Great City, celebrated New York, now her beloved hometown. Her new album, The Late Set, is all intimate duets with pianist Ehud Asherie. Saxophonist Chico Freeman started his jazz life as a kid on the front porch of his Chicago home, peering in the open window as his father Von, and his guitarist uncle George held jam sessions that started by day and lit up the night. Chico would go on to tour with McCoy Tyner, Sam Rivers, Dizzy Gillespie and Bobby Hutcherson — and work with blues giants Buddy Guy and Memphis Slim. It’s all there, which is the reason so many listeners readily go where Chico steers the ship; it’s guaranteed to be an engaging musical journey. Thelonious Monk changed the way musicians approach jazz. It's not a legacy to be viewed in a museum, but a living body of work for artists to challenge themselves today, finding new arrangements and expressions, surprising themselves at every Monk call and response. 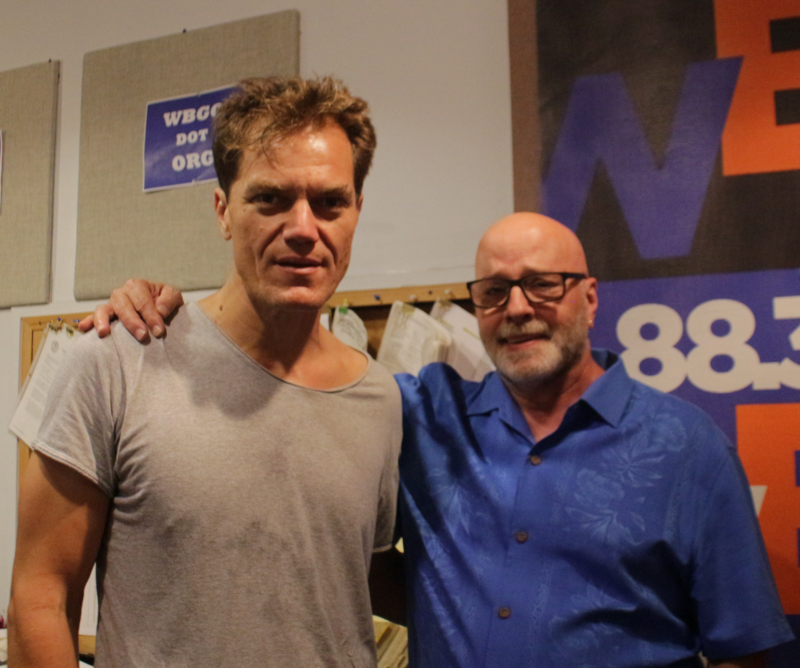 Michael Shannon is an actor known for the intensity of his performances, whether in films like 99 Homes, prestige cable series like Boardwalk Empire or Broadway plays like Long Day’s Journey Into Night. He’s also an intense jazz fan, as he discussed with WBGO’s Gary Walker on Morning Jazz. 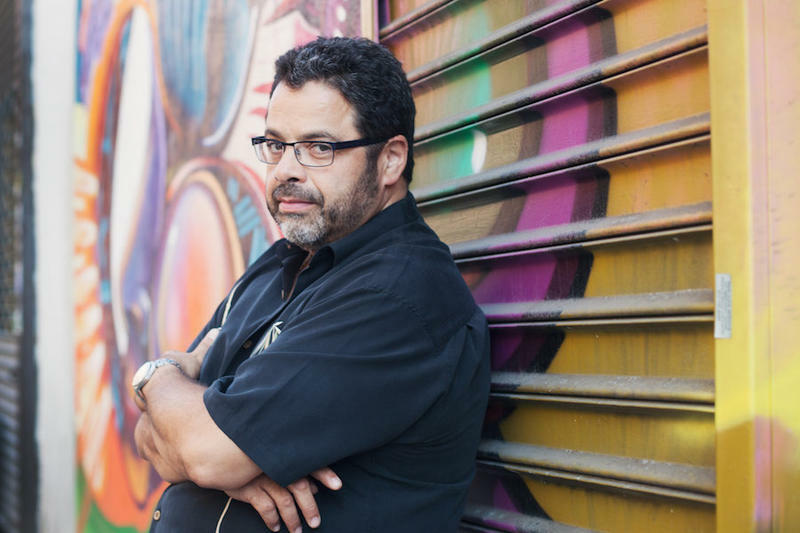 Arturo O’Farrill makes music steeped in the pantheon of Afro-Latin culture. He can’t help it. It’s in his DNA. This Labor Day, WBGO presented four hours of music, recorded live at this year’s Charlie Parker Jazz Festival. We have highlights from the broadcast right here. 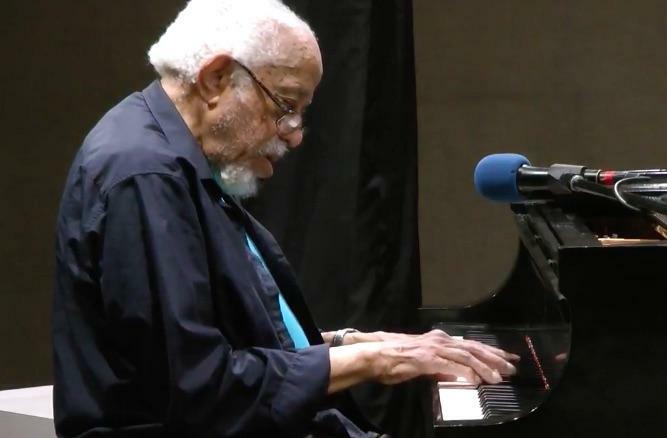 Nobody understands bebop piano better than Barry Harris, who at 87 is one of the great elder statesmen of our music. 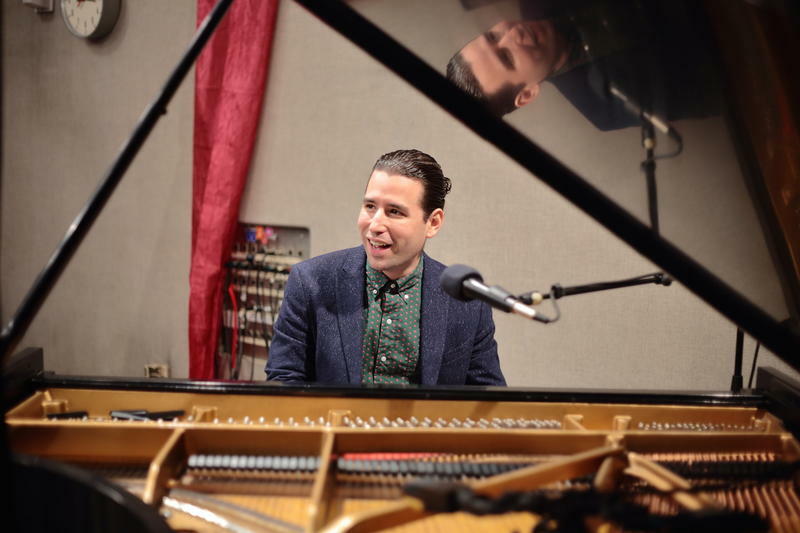 He graced us with his wit, erudition and piano mastery in a recent visit to Morning Jazz. 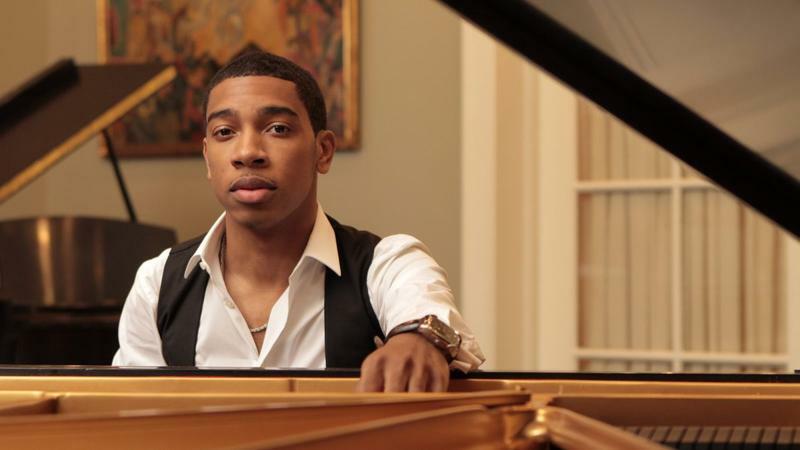 Christian Sands is a pianist with a deep connection to jazz’s history, but he doesn’t see that as a static proposition. Quite the contrary.